Advance streamlines and integrate the administration processes and information flow in the hospital to synergize the resources namely men, material, money and equipment’s through information. It facilitates hospital-wide Integrated Information System covering all functional areas like out & in Patients Billing & Management, Patient Beds, Visiting Consultants, Medical Stores, Pathology Laboratories, Radiology Laboratories, Imaging, Pharmacy, Manpower Management, Kitchen and Laundry Services etc. 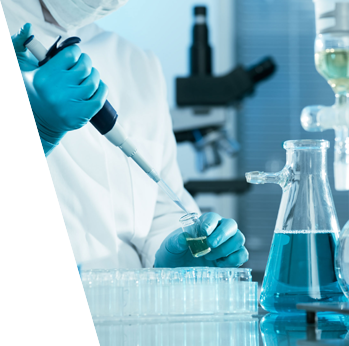 Advance ERP provides an ideal package for integrating an entire healthcare organization. We ensure that the Quality Objective, included those needed to meet product requirements, are established at all relevant functions and levels in the organization. Advance ERP eliminates the most of the business problems like Material shortages, Productivity enhancements, Customer service, Cash Management, Inventory problems, Quality problems, Prompt delivery, Pilferage, TPA Billing etc. Our team is highly challenging and intensely collaborative, our work is constantly evolving, helping us to redefine the leading edge. Advance is a fully-integrated, Hospital Information System Solution. 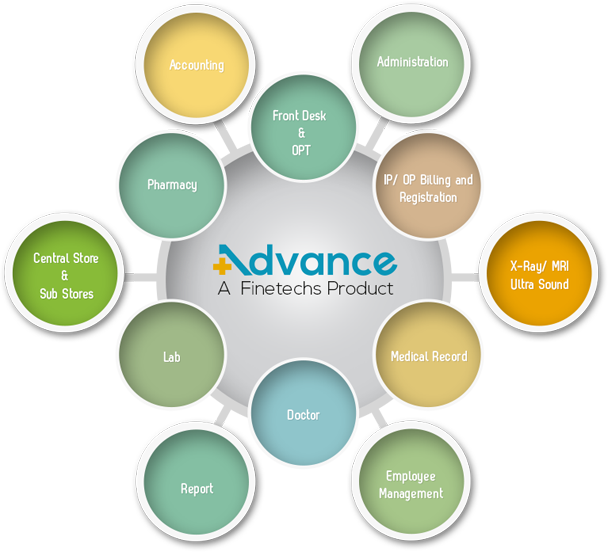 Advance gives a total integration of order entry systems, administrative system, and departmental subsystems within a hospital. Advance allows for scalability, reliability, efficient data processing, quick decision making, reduced maintenance and overheads. As an area of Medical Informatics the aim of Advance is to achieve the best possible support of patient care and administration by electronic data processing. Advance offers a foolproof data security without user intervention to archive data. Advance is a comprehensive information system dealing with all aspects of information processing in a hospital. This encompasses human (and paper-based) information processing as well as data processing machines.